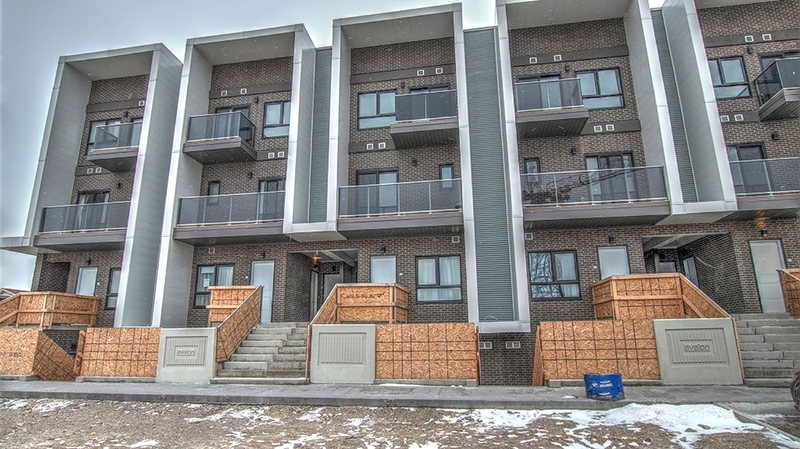 Amazing top unit in brand new stacked town house complex. Large open concept kitchen/dining area/living room with quality laminate flooring. Look no further, this 2 bedroom, 1.1 bathroom condo is ready to be called home immediately. Private entry way to your modern living unit with granite counter top kitchen and stunning views. Living room and Master bedroom have large patio doors with a walk out balcony. Then head on up to the roof top patio to relax or entertain with gas line ready to hook up your BBQ. In-suite stacked laundry. Stainless steel appliances also included (refrigerator, ceramic range, microwave range hood and dishwasher).